Pineapple is a very popular fruit that is rich in fibre that can greatly aid in digestion. They are also being added in some foods to enhance the flavouring, but most of the time it is served in desserts. If you look at a pineapple, you will sometimes find it challenging on how to peel off the skin without making a lot of mess which deters people from buying them. Like anything else too much of a good thing is never a good idea. Just enjoy pineapple in moderate amounts as part of healthy diet. That aside, pineapples have many health benefits. So if you want to know more, then here are some you need to know about this amazing fruit. If you suffer from arthritis, pineapple may be able to help! This fruit has been known to reduce overall inflammation, including inflammation associated with joint and muscle pain. That amazing enzyme bromelain is again responsible for this action and has been shown to reduce the symptoms of arthritis. Vitamin C can aid in wound healing, and can help prevent the development of other infections. Pineapple is high in vitamin C making it the perfect fruit to boost wound healing, and provide protection. Pineapples are rich in antioxidants and vitamin C which can help bolster the body and can potentially protect it from cancer. The flavonoids, bromelain, and other antioxidants are important components in cancer prevention, but it’s the manganese content that makes pineapples great. Pineapple is a rich source of copper, which is required for the formation of red blood cells. Red blood cells are needed in order to provide oxygenation to different organs of the body and provide cognitive health benefits as well. This fruit is full of vitamin C which is going to help boost your immune system, but it also contains an important enzyme called bromelain. 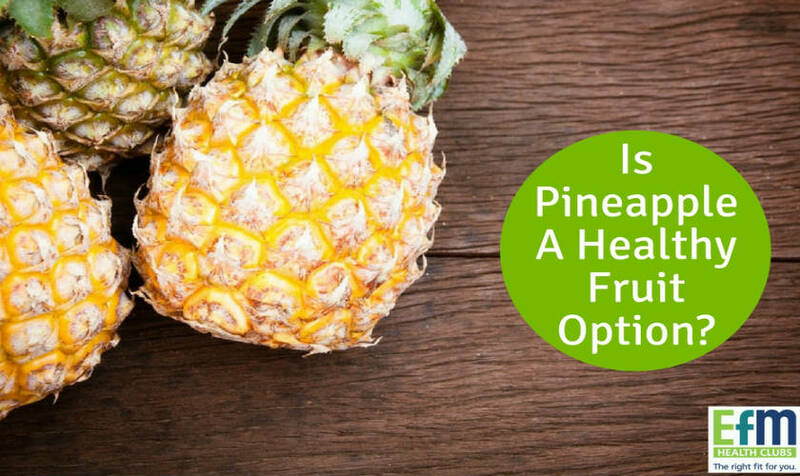 Bromelain has been known to help reduce the production of phlegm as well as mucus built up in the respiratory tract and even the sinus cavities. This enzyme is also a potent anti-inflammatory agent, and has the ability to fight infections, and kill off bacteria. If you suffer from digestive issues, pineapples may be your stomach’s best friend! This fruit is a rich source of both soluble and insoluble fibre which can help protect you from developing constipation, IBS, and diarrhea. Adding fibre to your diet can help stimulate the passage of food through the digestive tract promoting a healthy digestive system. The high manganese content assists in strengthening bones as well as aiding in growth, and overall repair. One single serving of pineapple can provide you with up to 70% of your daily requirement of manganese. If you’re looking for a natural way to boost your oral health, this tropical fruit may be the answer. Pineapples contain astringent properties which help in strengthening your gums. Potassium is an important part of naturally lowering high blood pressure, and high potassium foods include fruits, and vegetables, including pineapples. So try adding pineapple into your diet as a natural potassium booster.